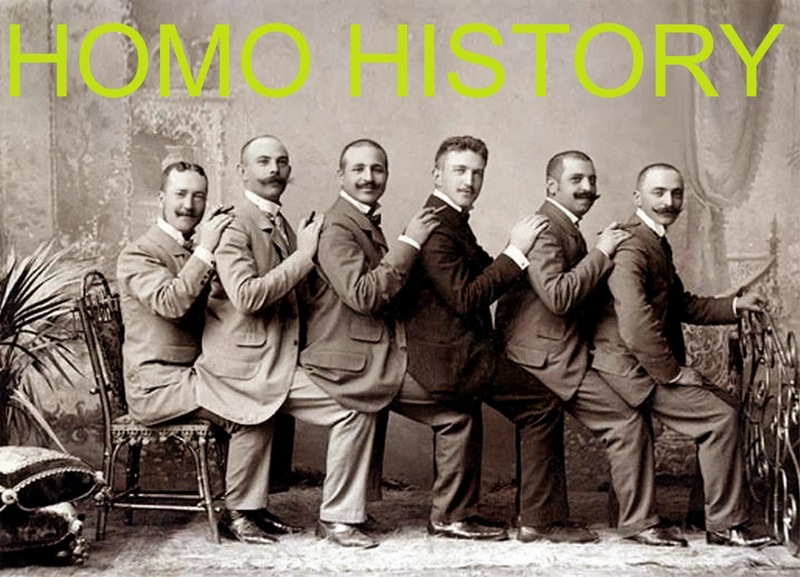 Gay men throughout history as have been portrayed as effeminate and flamboyant; mostly because the gay men who passed as straight usually stayed in the closet. The Macaroni and The Dandy didn't try to fit it; they created their own subcultures where they could be as outrageous as they dared! In mid-18th century England, a Macaroni was a gentleman who dressed and spoke in a highly affected "continental" fashion. The effeminate mannerism and fashions of these over the top trend setters were thought to be Italian by the more conservative English and so they labeled them as Macaroni. A "macaroni" was literally a small tricorn hat placed on top of a high wig. The flamboyant Macaronis were the precursor to the dandies, but were far more outrageous. "If I consult the prints, ’tis a figure with something uncommon in its dress or appearance; if the ladies, an effeminate fop; but if the ’prentice-boys, a queer fellow with a great large tail." Basically this meant that if a woman saw these illustrations she would just think it was an effeminate dandy, but if a working class boy saw them, he would recognize the Macaroni as a homosexual. George "Beau" Brummell eptomized the Dandy. Brummel was obsessed with re-inventing male fashion; his tightly tailored riding clothes, crisp fabrics and his simple elegance was revolutionary for it's time. He believed that a fashionable man should dress in an understated and elegant style. He was concerned with all aspects of male fashion and grooming and became famous in English Society for his stylish clothing and witty tongue. In 1799, upon coming of age, Beau Brummell inherited a small fortune of thirty thousand pounds, which he spent mostly on custom made clothing, gambling, and high living. Brummel's style was quickly copied by the fashionable set and it gradually mutated into a more extreme version of the Dandy style... and we know who was responsible for taking it to the next level, don't we? In the late 1800's the Aesthetic Movement created a whole new look for the dandy. Oscar Wilde was the poster child for the new Dandy and his style was widely satirized in newspaper cartoons of the day. Oscar's long hair and boyish silk stocking became his trademark style. The Sunflower motif was widely used in decorative arts of the Aesthetic Movement. The Dandy has never really gone away; each new generation of young gay men rediscovers The Dandy Style and makes it their own. If you enjoy Homo History, please subscribe, it's free! Just go to the very top or bottom of each page for a link to subscribe.